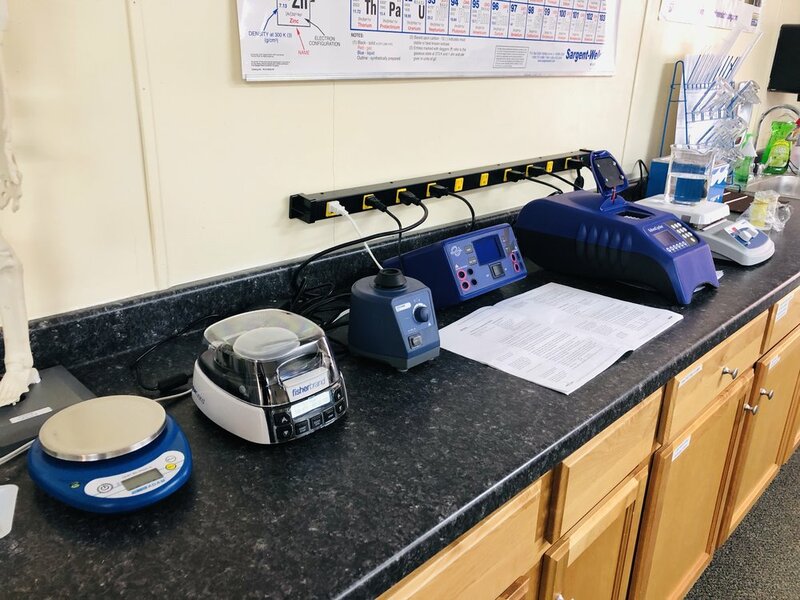 Loganville Christian Academy is excited to bring STEM education to all of our students in the K-12 arena, leading to workforce development and advanced degrees in the STEM fields. STEM activities are integrated in core classes through all grade levels, reaching all of our students. With state-of-the-art Science Technology Engineering Math (STEM) Labs in both Upper School and Lower School, Loganville Christian Academy has implemented dedicated STEM course work through the Project Lead the Way (PLTW) STEM curriculum program, preparing students to be leaders in the global economy. The PLTW STEM program brings a whole new world of possibilities to LCA students through a comprehensive and robust program that embraces real-world applications. In our Lower School, students in grades 1-5 are exposed to lab experiences that enhance each student’s understanding of the engineering design process (ask, explore, model, evaluate, and explain). Lab experiences incorporate the use of both hands-on experiments and digital technology via iPads. The Project Lead the Way Launch Program paves the way for the students to become problem solvers. They use the engineering design process, employ critical thinking concepts, and apply STEM knowledge and skills to find solutions to real-world problems. In 2015-2016 Loganville Christian Academy introduced the Project Lead the Way Biomedical Science Program at the Upper School level. LCA was the first school in Walton County through the PLTW Program to have a 1:1 initiative for our students and is leading the way in the use of technology and STEM education. In 2018 the Walton County Health Care Foundation gave LCA a grant that provided the third year of the four-year Biomedical Science Program. Each course in the bio-med sequence builds on the skills and knowledge students gain in the preceding courses. 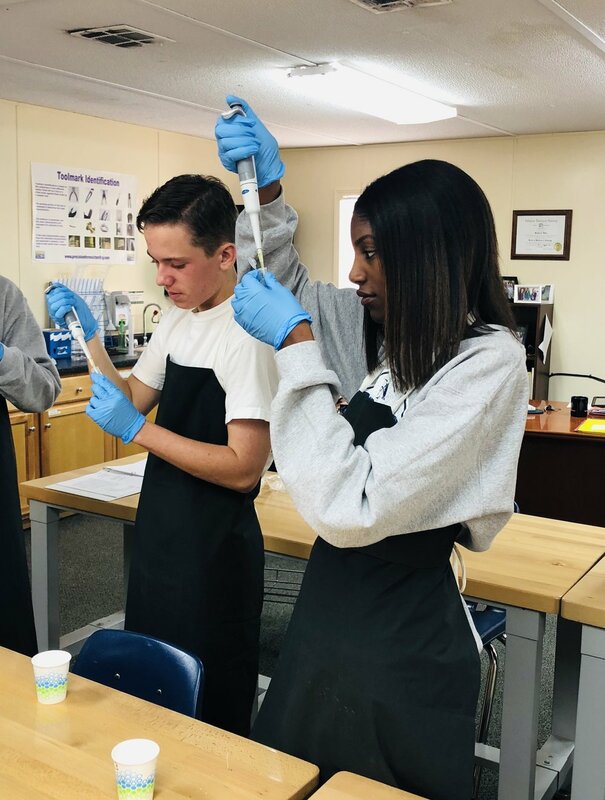 LCA's students embrace real-world challenges before they graduate from high school, and the Biomedical Science program motivates students to implement lessons simply observed in core science classes, which might result on some students graduating with a motivation to obtain degrees that promote our medical communities. Today's biomedical science professionals are tackling big challenges to make the world a better place. Students in the bio-med classes are not limited to simply "reading" about science, but they are given the opportunity to explore, research, and develop solutions—just as scientists do in live lab settings. Working with the same tools used by professionals in hospitals and labs, students engage in compelling, hands-on activities and work together to find solutions to problems. By immersing students in activities like practice suturing and constructing body structures from clay, PLTW empowers students to build knowledge and skills in biomedical science, as well as in-demand, transportable skills, such as problem solving, critical and creative thinking, communication, and collaboration. These skills will be utilized by students in high school and for the rest of their lives on all career paths. The short-term success of our STEM initiative is already evident by the increased student interest in pursuing challenging high school courses in biomedical studies, various engineering areas, and advanced calculus. The long-term success of our STEM initiative is measured by the number of graduates who pursue biomedical and other STEM field degrees, the increased number of young women pursuing STEM degrees, overall advancement into STEM fields as careers, and the ability to focus their problem solving skills and talents to find solutions for societal issues in our global communities. The proof of the success is more than just an increase on the scores of high-stakes tests, it is in the long-term focus toward STEM fields and in our students doing their part in maintaining the sustainability of the great earth that God has so graciously given to us.